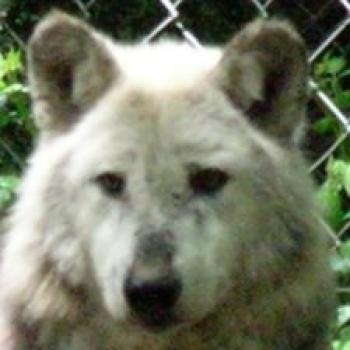 Mai is a Canadian wolf and her ancestors came from the Mackenzie River watershed area. 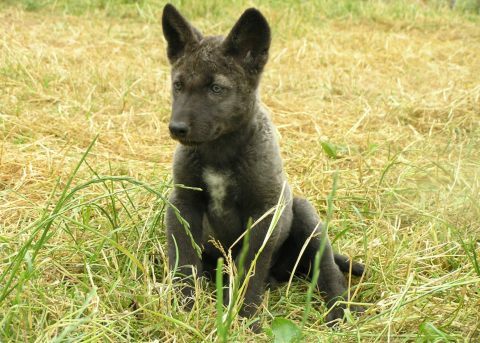 Her name means "Coyote" in the Navajo language. Mosi and Mai were bought up with Torak. 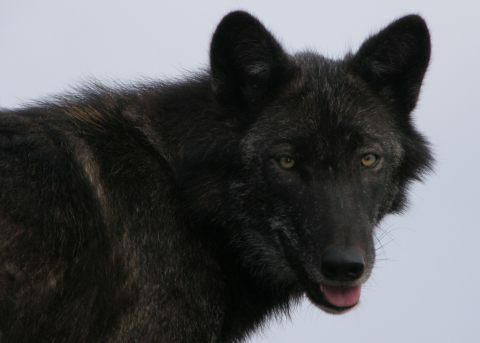 When they were four years old Mosi came into season early and her hormones impelled her to drive Mai from the pack; she then took her place as the dominant female. 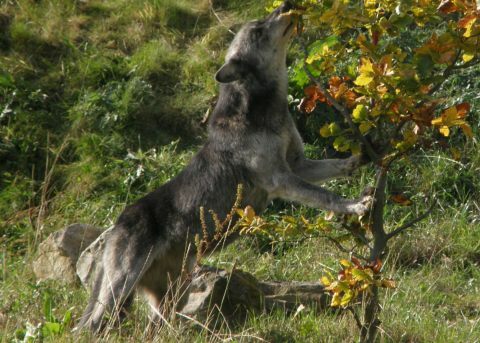 Mai now lives with Motomo, an unsocialised wolf who came from Coombe Martin in Devon. 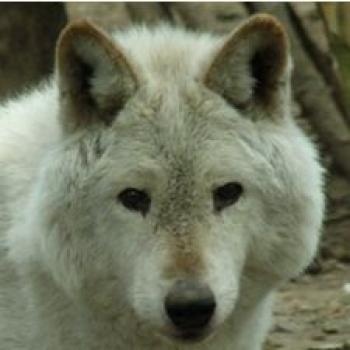 Her confidence has greatly increased since gaining Motomo as her mate and subsequently giving birth to cubs Nuka, Tala and Tundra in May 2011.